Fourteen conjure tales by one of America’s most influential African American fiction writers. The Norton Critical Edition of this hugely influential novel gives readers the fullest possible sense of its historical background and critical assessment. 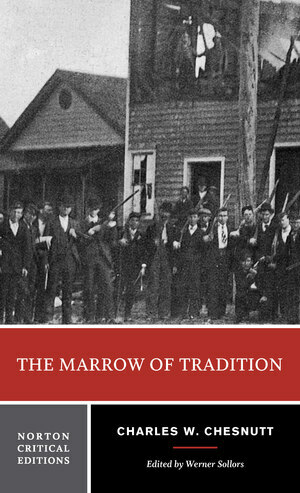 Inspired by the 1898 Wilmington Riot and the eyewitness accounts of Charles W. Chesnutt’s own family, Chesnutt’s The Marrow of Tradition captures the astonishing moment in American history when a violent coup d’état resulted in the subversion of a free and democratic election. The Norton Critical Edition text is based on the 1901 first edition. It is accompanied by a note on the text, Werner Sollors’s insightful introduction, explanatory annotations, and twenty-four photographs and illustrations. “Contexts” connects the novel to the historical events in Wilmington and includes a wealth of newspaper articles, editorials, and biographical sketches of the central players. The account of riot instigator Alfred Moore Waddell, published just weeks after the event, is reprinted, along with three rarely seen letters: W. E. B. Du Bois’s and Booker T. Washington’s comments on the novel and Walter Hines Page’s letter to Chesnutt. Rounding out the historical record is a selection of 1890s sheet music, a poem, and newspaper articles on the Cakewalk, a popular dance of the period with roots in slavery. “Criticism” begins with twelve contemporary reviews, including those by Hamilton Wright Mabie, Katherine Glover, William Dean Howells, and Sterling A. Brown. Fifteen recent assessments focus on the novel’s characters, history, realism, and violence. 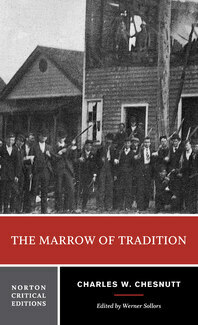 As scholarship on The Marrow of Tradition and on Wilmington in 1898 has been especially active since the 1990s, ten assessments are from this period. From What Is a White Man?